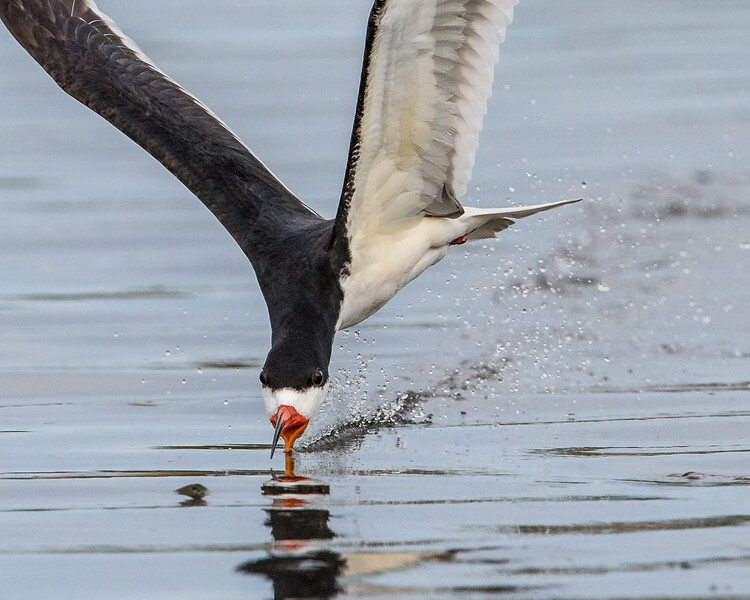 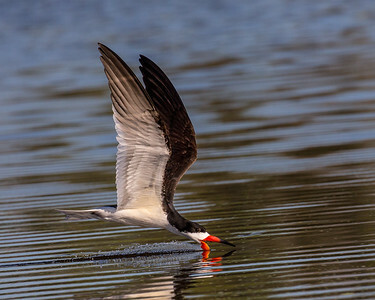 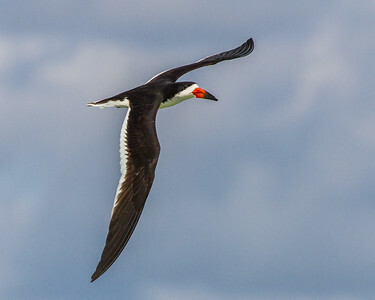 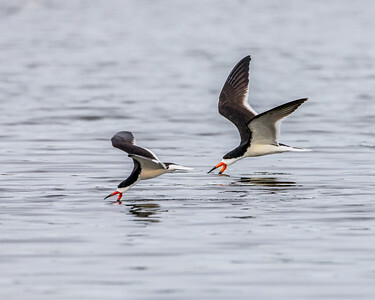 Black Skimmers are wonderful to watch as they skim across the water. 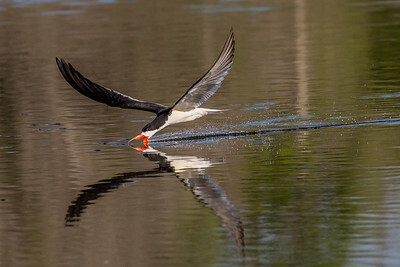 This Gallery contains some of my favourite photos of these great characters. 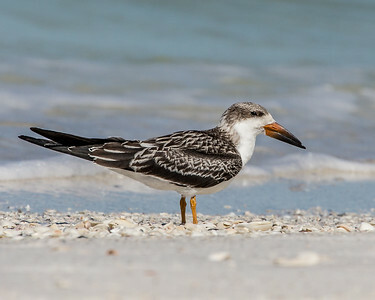 All taken in Florida. 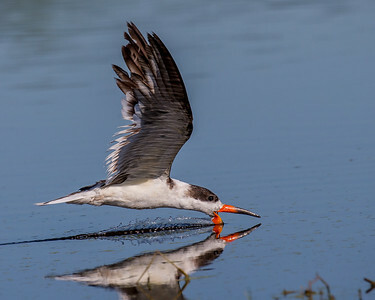 If a Skimmer's beak goes deep in the water, the force of the water stops the head from moving forward. 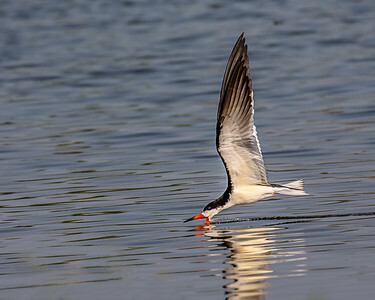 But the rest of its body keeps moving so the head ends up below the body facing the wrong way. 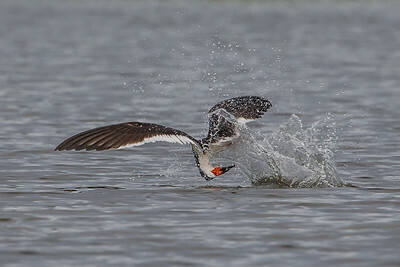 In a fraction of a second, the Skimmer brings its head up and continues skimming. 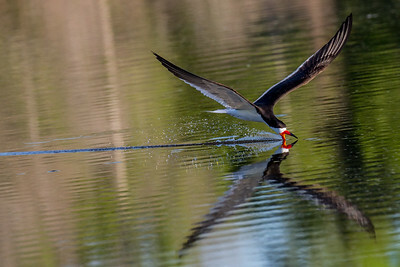 It is too fast to see with the naked eye. 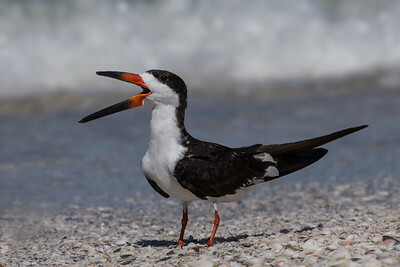 An adult Black Skimmer showing its specially adapted bill. 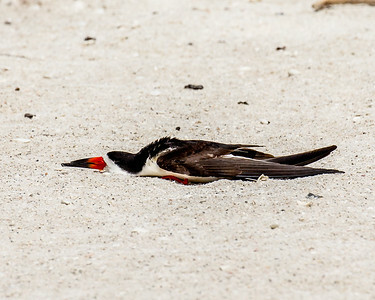 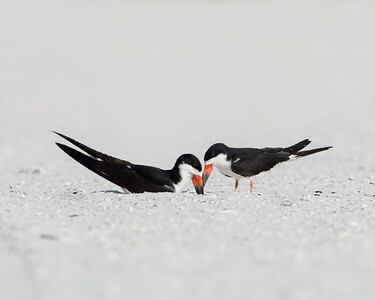 Laying Low - Black Skimmers often lay flat like this on the beach especially if it is windy.